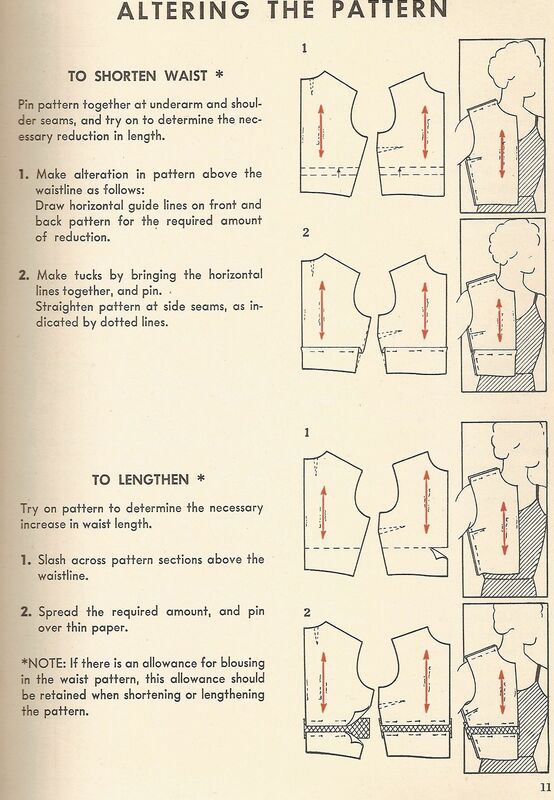 Most patterns are pretty easy to read, if you are sure to follow the step by step directions carefully. 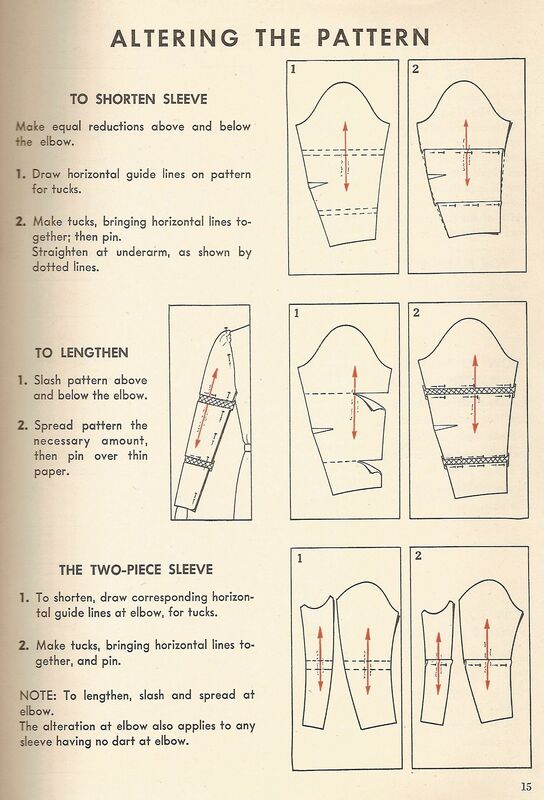 For first timers pick patterns that say easy and/or quick on the pattern package. 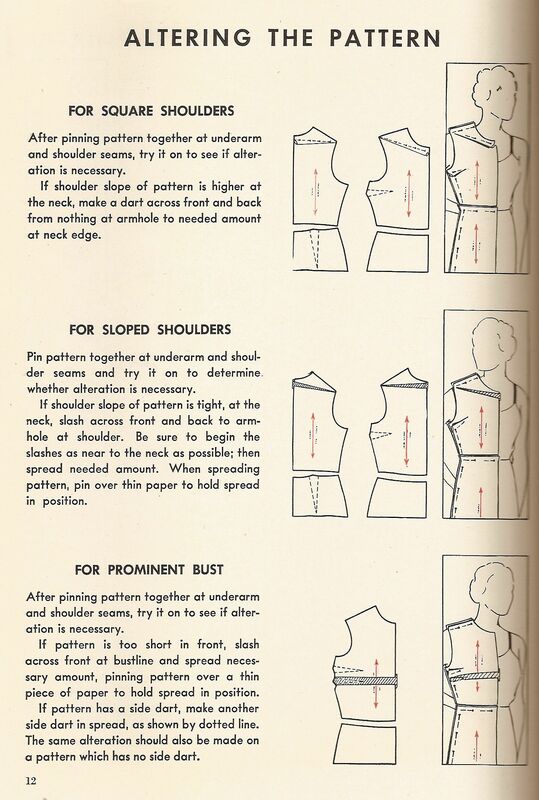 Once you’ve mastered reading & using a pattern the next step is altering patterns to fit you better (cause let’s face it almost no one fits commercially made patterns perfectly). 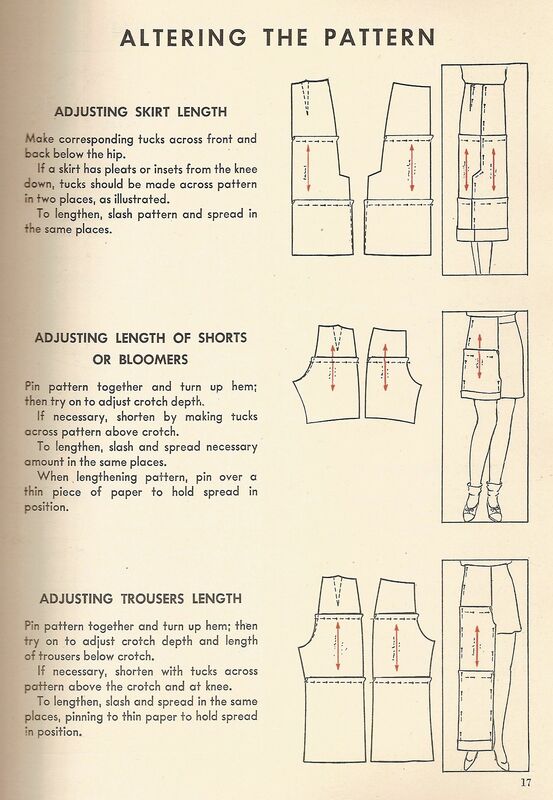 Some patterns have places for lengthening & shortening built into them, and those can be very useful and are things to look for if you are short or long waisted. 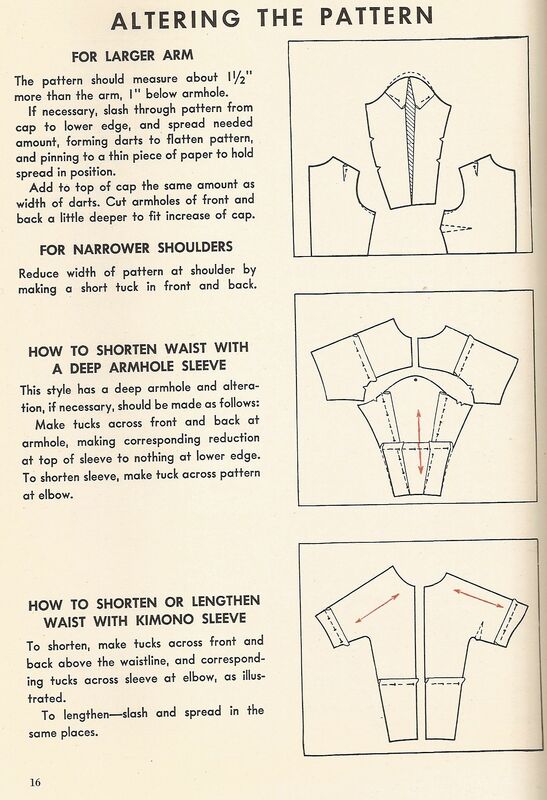 First step in finding your pattern size, altering, or drafting is knowing your measurements some good measuring guidelines are on the next page. 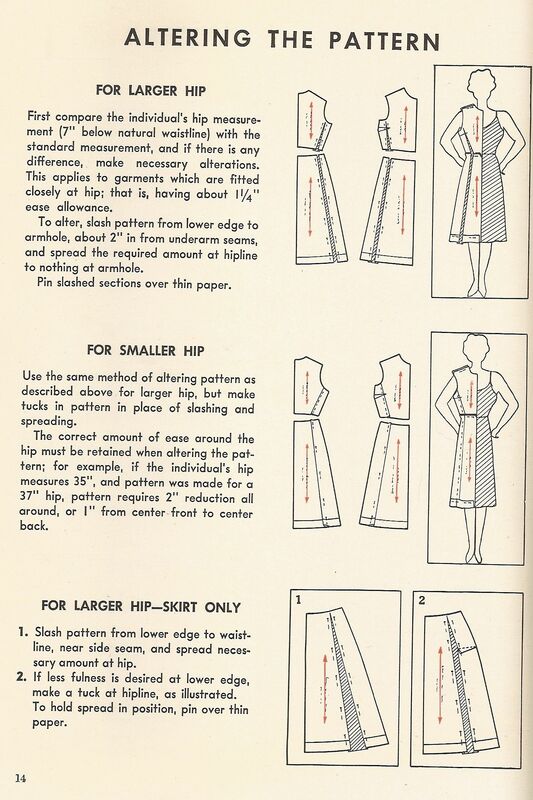 Once you know what your measurements are, comparing them to the measurements on the back of most pattern envelopes will give you a starting point to know where the major alterations will be, the rest you’ll have to take directly off the pattern’s measurements (just be sure to take ease & seam allowances into consideration. 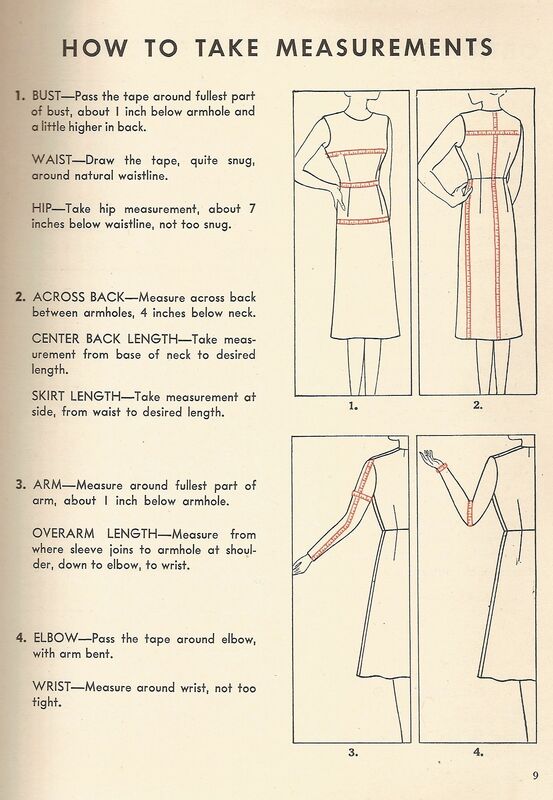 Some good alteration directions are on the pages following the measurement guide. 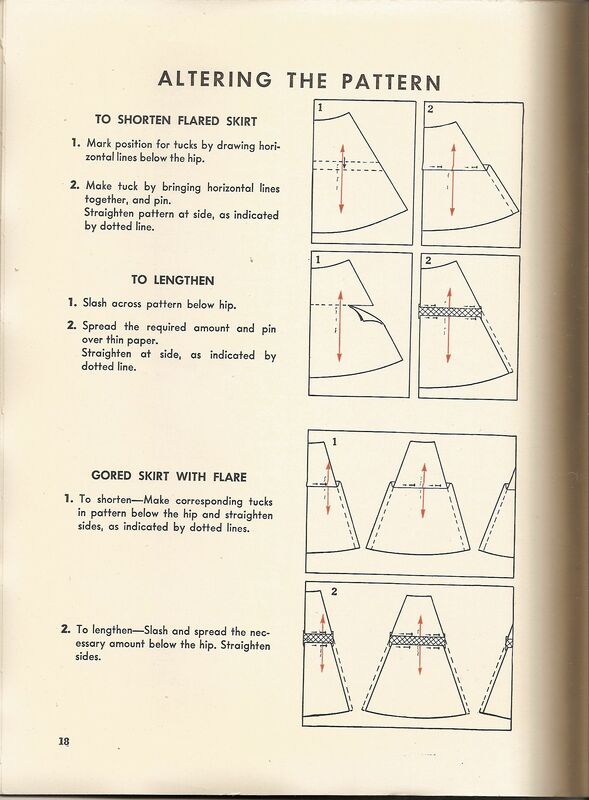 Drafting a pattern from your own measurements is easier when you have looked at lots of made patterns to get the general idea of the shapes of the pattern pieces you’ll need then apply them to what you want to make. 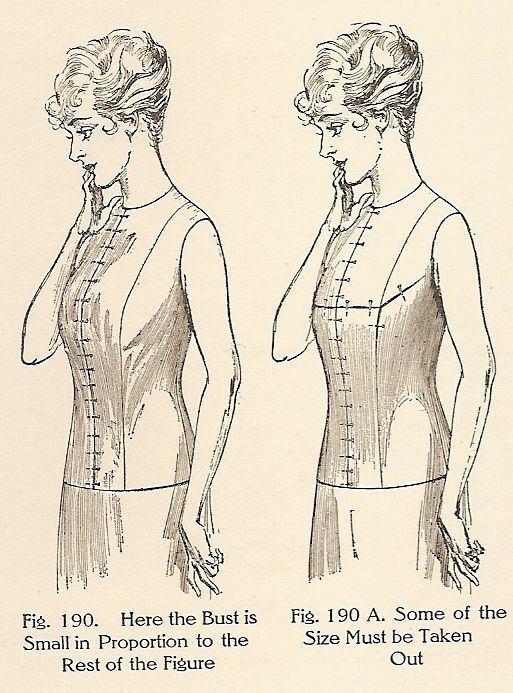 It’s always easiest to start from a pattern that is close to what you want & play with pattern pieces until you get what you want (i.e. 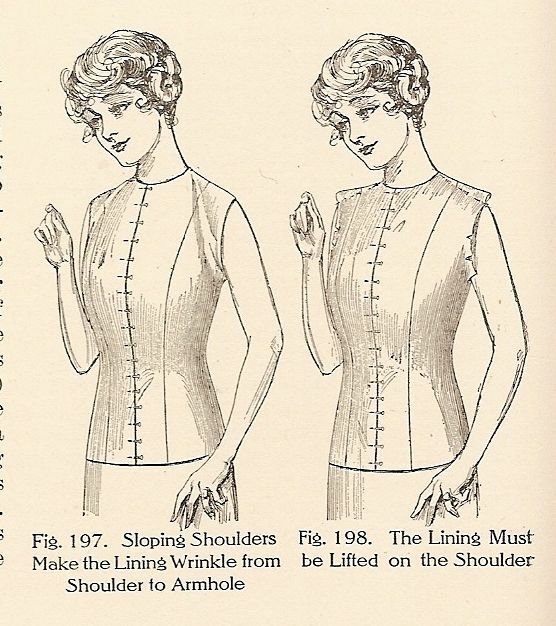 tweak the neck line, change the sleeve, adjust the silhouette, change the hemline, etc.). Whenever making big changes to a pattern or drafting from scratch always make a mock-up out of inexpensive material first; rarely does any pattern fit perfectly on the first try. 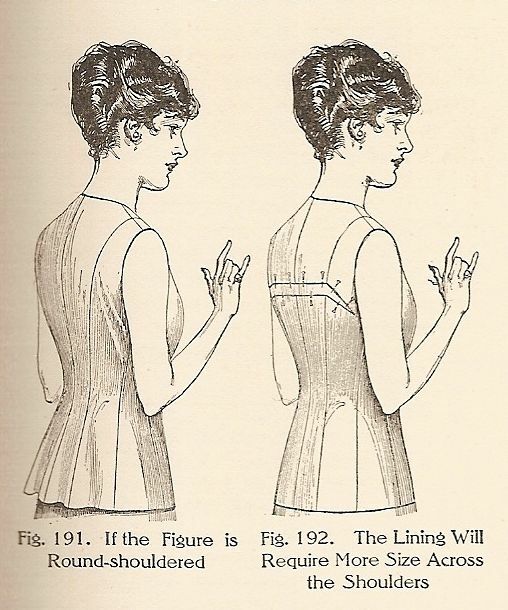 Looking at how the mockup hangs on you will tell you how to alter the pattern to correct the issues. 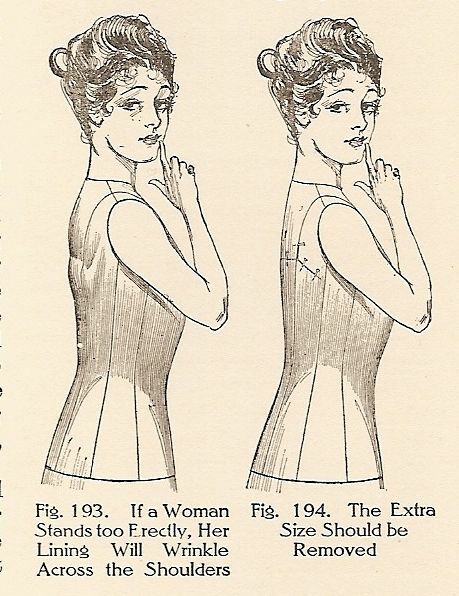 Some examples of fitting problems &solutions are illustrated at the end of this handout. 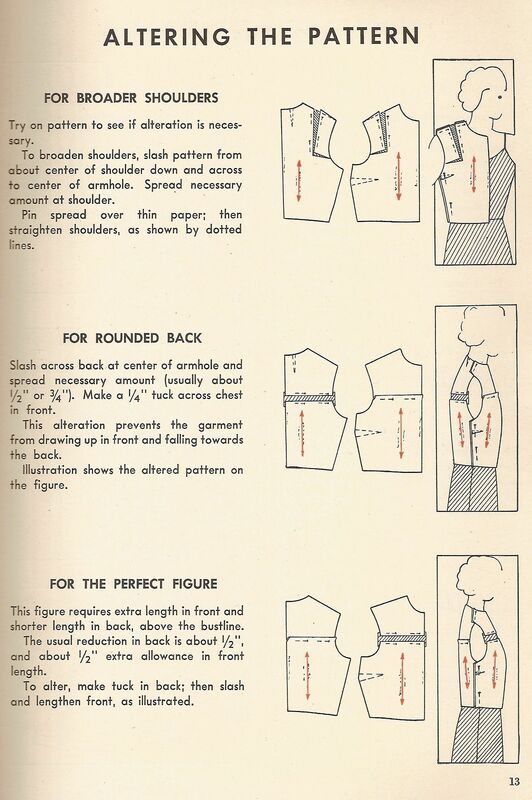 Fitting Finesse by Nancy Zieman – pictures are a bit out of date but the pivot method of fitting is really nice. 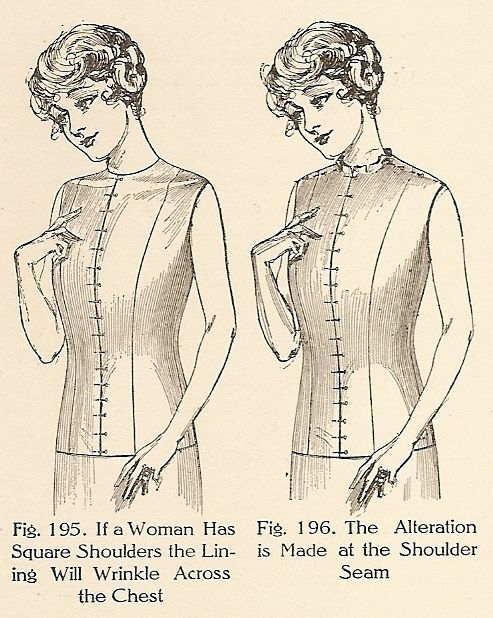 Patterns for Theatrical Costumes by Katherine Strand Holkeboer – this book covers costumes from ancient Egypt to 1915 European and is a great starting point to get the right shapes for the pattern you want to draft (even if it's sci-fi). 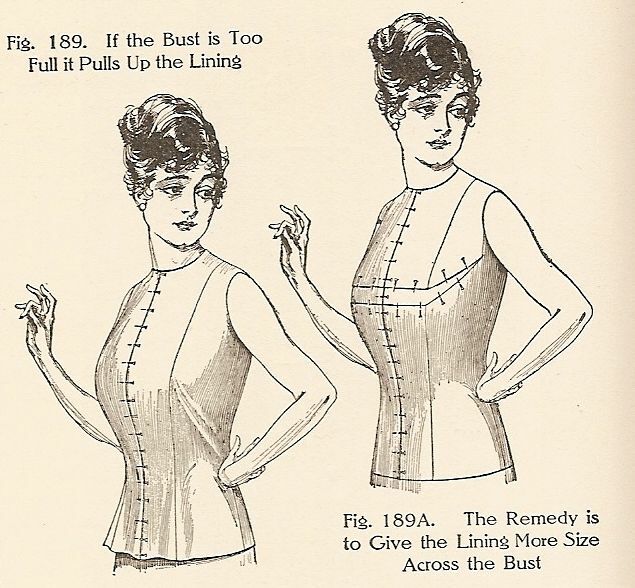 Making Patterns from Finished Clothes by Rusty Bensussen – think that favorite shirt would be the perfect addition to the costume you want to make, but in a different fabric; this is the book for you.